PADI Discover Scuba Diver course is a great way to go Scuba Diving without being a certified diver. There is no need for experience as a PADI professional will help you every step of the way. 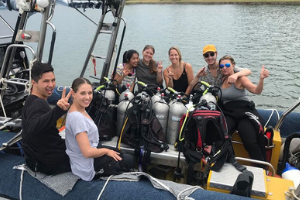 This experience includes a pool session that is necessary for us to teach you all the safety skills required, then we hit the open water and explore the beautiful Sunshine Coast reefs. We only take small groups so you will be in safe hands. 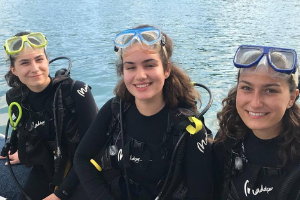 This is the perfect way to try Scuba Diving before you get your Open Water Certification. ​Here on holidays? 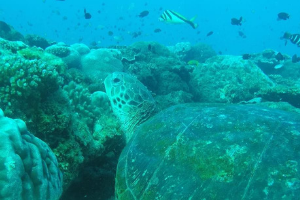 We can make a trip tailored to suit your interests, wether it is Scuba Diving beautiful reefs or exploring ship wrecks, we will make it an experience to remember. No matter what experience you have, you can Scuba Dive these amazing Ship Wrecks. 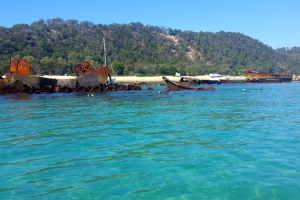 Moreton Island Wrecks have an amazing array of marine life that will not disappoint. ​15 ship wrecks that where deliberately sunk all in a row to form a breakwall for small boats also creates an awsome dive and a spectacular snorkelling site. 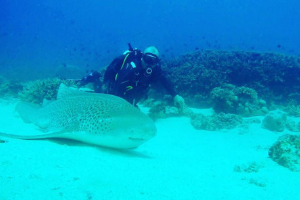 This full day adventure includes your pool training prior to your tour, transfers, lunch and a double dive guided by a PADI professional.